During the early Spanish era, what is now called Biliran Island was known as Isla de Panamao. The term refers to an ethnic fishing net. The present name, believed to be adopted sometime between the late 1600s and the early 1700s, was, according to many publications, derived from a native grass called borobiliran which once grew abundantly on the island’s plains. A contending theory states that the name came from the word bilir, which was defined in an old Visayan dictionary to be the “corner or edge of a boat, vase or anything protruding, like veins, or the furrow made by the plow.” The dictionary also gives biliran as an alternate spelling for bilir. This theory is supported by the fact that Biliran was site of the first large-scale shipyard, built in the 1600s. Galleons were built to support the Galleon trade between Manila and Acapulco in Mexico. The first town, named Biliran, was founded in 1712. During this time, the island was a part of the province of Cebu. Biliran, together with the islands of Samar and Leyte were constituted into a separate province in 1735. Later when Samar and Leyte were split into two provinces in 1768, Biliran became part of Leyte. During the World War II, Biliran had its own guerrilla forces under the Leyte command of Colonel Ruperto Kangleon. The guerrilla operation where of invaluable assistance to the successful landing of the American liberation forces at Palo, Leyte, on October 20, 1944 just before the Battle of Leyte Gulf. In 1945 liberated by the Philippine Commonwealth forces landed in Biliran with the local guerrilla forces by the attack of the Japanese troops from the island during the Battle of Biliran. On 26 May 1754, the Moros destroyed the pueblos of Biliran in Leyte and Catbalogan in Samar. Panamao was reportedly razed to the ground and only the gobernadorcillo of Biliran pueblo escaped capture by the raiders. The settlements of Biliran, Caybiran, Mapuyo and Maripipi were also destroyed by the Moros. The Moros staged their attack by marching inland along a river in the province named Anas for a distance of 1.5-2 leguas (leagues). Having covered part of the interior around a mountain, they managed to capture the inhabitants, with the exception of the gobernadorcillo who had escaped. The houses and property of the natives were burned or destroyed. The church building suffered the same fate and its valuables were taken away by the raiders. When the Moro raiders has been neutralized in the early 19th century, the local inhabitants went into the business of organizing new pueblos (also known as town) in the present geography of Biliran Province. The inhabitants of Biliran Island petitioned for pueblo and parish status as early as 1712. The first parish priest was assigned in 1765 but its parish status was apparently withdrawn because of Padre Gaspar‘s apostasy. The parish was re-established on February 22, 1782. 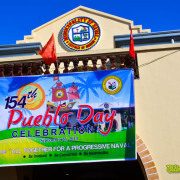 In 1828, Caibiran on the east became an independent pueblo and parish, the second to be created in Biliran Island. Naval became the third town, and it was carved out of the territory of Biliran town. It initially became a separate parish in 1860. The Spanish colonial government officially recognized its pueblo status on 23 September 1869, the petition for which was apparently submitted around 1861. Almeria became a separate town in 1886 and was named after a town in Spain of the same name. On April 8, 1959 Republic Act No. 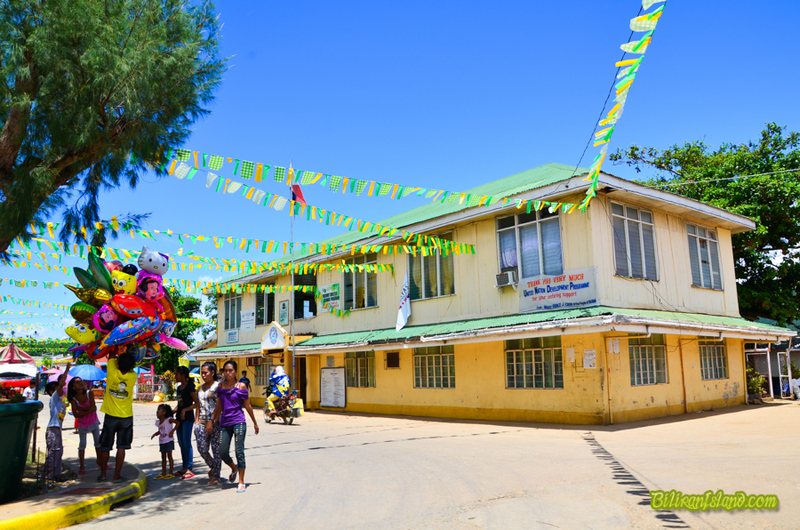 2141 was signed into law effectively making Biliran a sub-province of Leyte. The island was only made an independent province on May 11, 1992 by virtue of Republic Act No. 7160, making it one of the newest provinces in the country.